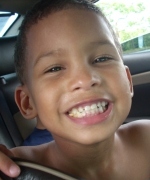 (CNS): In the wake of the shocking murder of four year old Jeremiah Barnes at a West Bay gas station last night, the police commissioner has pleaded with the community not to take the law into its own hands. Despite the expected heightened anxiety, David Baines asked people to let the police deal with the issues. He said that while two men were in custody, police were still working on the enquiry, and patrols in areas where gang members are known to congregate were being increased along with more road blocks which would include visibly armed special officers. In the wake of the tragedy, Baines said he was aware that people were talking about arming themselves and taking to the streets but warned that this was not the way to tackle the crime problem. “I am conscious about the suggestions of vigilantism. Pease do not do this; if you do this you’ll be caught in the net we are putting out to get the criminals. I ask you to leave it in our hands to get some sense of security back to these islands,” the commissioner said today (Tuesday 16 February). The governor has also announced that legislative changes would be coming before the Legislative Assembly next week to help the police tackle the escalating gang and gun relatedcrime. Speaking at a specially convened press conference hosted by Governor Duncan Taylor and the Deputy Premier as well as the commissioner, Baines said that, although two men have already been arrested on suspicion of murder in connection with Jeremiah’s killing, he warned that the investigation was far from over yet and that police still needed the help of the community to secure evidence. Baines explained that an enquiry team had been working in West Bay throughout Tuesday talking to everyone that might have information, securing evidence and further examining the crime scene. He said officers were still taking statements from various people in the area at the time of the shooting and asked anyone else that was there that had not yet spoken to an officer to have the confidence to come forward and give information. Baines promised that the identity of witnesses would be protected. He warned that the wider public could expect to get caught up in the heightened police activity but asked for cooperation and for people not to be alarmed by the overt weaponry some officers would be carrying. “These blocks are not traffic related; they are to stop and search the vehicles of known gang members and violent suspects and to get at the weapons they are carrying. “In addition we will be increasing neighbourhood policing visibility, and although we are stretched in terms of the number of officers we need to get police out from behind desks and we will be suspending some office-bound and less urgent duties,” Baines added. He beseeched the community to get whatever information it had about the gang crime to the police. “There is often the perception that information is leaked by the police and people are then exposed,” he said. “We will handle information confidentially,” he promised, adding that if anyone breached that commitment, he would dismiss them. He warned that the more the perception is enforced the more it becomes self-serving. The governor also noted that the during a short Cabinet meeting on Tuesday morning government had committed to introducing the necessary legislative changes at next week’s sitting of the LA to enable witnesses to give evidence anonymously. Taylor also pointed to discussions of introducing the presumption of adverse inference allowing an assupmtionthat a defendant may be guilty if they have failed to offer an anser to charges against them. “They will not be a panacea but a tool to assist the police. On their own legislative changes won’t solve all the problems but they will help,” Taylor stated, adding that he also intended to chair the first National Security Council meeting within the next two weeks. “While this is also at the strategic level and it won’t turn things around overnight, it will provide a conduit for information to come from society as to the best ways to enhancesecurity,” the governor added. Deputy Premier Juliana O’Connor Connolly said that crime was everyone’s business and the community had to come forward and support the police. She lamented what she believed was the community’s loss of fear in God, and said when a community stopped fearing God it lost its boundaries and that we needed to return to that kind of fear instead of fear of the criminals. The governor, commissioner and deputy premier offered their condolences to the family of Jeremiah Barnes, who was pronounced dead last night at George Town hospital after gunmen opened fire on the car he was sitting in with his family at Hell service station in West Bay. Police confirmed that at least four shots were fired at the car from one weapon, which has not yet been recovered. (CNS): Another man has been attacked by two assailants in the North Town Courts apartments, Courts Road, George Town, and is now in hospital with serious injuries to his face and neck. A 34-year-old Filipino man was attacked around 5am this morning with a machete a day after a 25-year-old man, who is an Indian national, was attacked in the same way in the same place.Commissioner David Baines confirmed today that the level of violence used in both attacks far exceeds that which would be seen in a robbery. 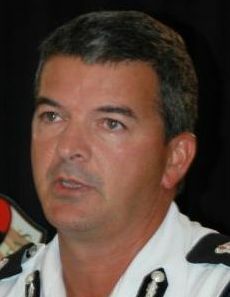 Baines fell short of saying that the attacks could be racially motivated but said that the motive had certainly raised concerns and the attacks were clearly connected. The commissioner said enquiries continued but both men were seriously injured making it difficult to get a clear picture of the events. Polcie are asking anyone with information to contact George Town CID. The man who was injured yesterday is believed to still be in a critical condition. (CNS): The former tourism minister and Bodden Town MLA, Charles Clifford, has applied to the RCIPS for permission to hold a public protest and seek signatures to initiate a people’s referendum to kick out the current government. The former cabinet minister said the UDP’s planned changes to immigration and the selling of essential government assets were reckless, irrational and irresponsible, which had to be stopped before causing irreparable damage. Clifford said this was not a PPM protest but a fierce movement of the people on issues of national concern supported by a wide cross-section of the community to oust the current administration. The aim, he said, was to prevent what he believes are damaging immigration policy changes from undermining the country’s social harmony, but it wasn’t an anti-expatriate protest. “I have always recognized and acknowledged that our economic miracle could not have occurred without the help and assistance from expatriates working here,” Clifford, who lost his seat at the last election, said in a statement announcing his intention to lead a march on the Glass House. He said that none of us are entitled to enter any other country and say we are there to work and to stay for as long as we please. “No country can afford to open the flood gates the way that the UDP has done. It is not sustainable and will create additional demands on the government that will worsen the financial situation to the point where it may not be recoverable,” Clifford added. Referring to speculation during the election campaign that the UDP had plans to issue 9,000 more status grants, he said they had denied it but had now implemented a policy which will in effect grant key employee status to a very large number of people. “It is estimated that approximately 9,000 financial services industry employees will receive key employee status through this policy change by the UDP,” he said, adding that these people would automatically obtain permanent residence and then Caymanian Status leading to a potential 9,000 status grants plus dependents. Clifford plans to organize the protest ona Saturday afternoon within the next two weeks and he said government will be invited to meet the protestors to hear their concerns. 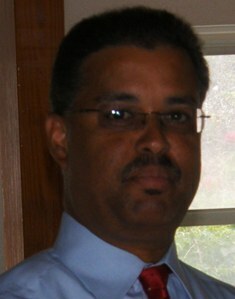 “We will have copies of the voters list with us and if the government fails to show up or refuses to reverse these very dangerous and irresponsible policies, then right there in front of the Glass House we will begin the process of obtaining the required number of signatures for the country’s first ever Peoples Initiated Referendum in accordance with Part IV section 70 of the new Cayman Islands Constitution Order 2009. The referendum will call for early General Elections to remove this reckless UDP Government from power,” Clifford explained. He said it was time for everyone to mount an effective opposition to the UDP’s dangerous abandonment of its own people. Clifford also said the proposal to sell off essential government assets was not only wrong, reckless and irresponsible but “schizophrenic behaviour” the perceived gain from a the sale of the government building would be "so very short term that it cannot make sense from any perspective, “Clifford stated. “It is time for all Caymanians to stand up against the sale of our country and the future of generations of Caymanians to come. We have a responsibility to future generations and we are expected to discharge our responsibility in the same way that our forefathers discharged theirs to ensure our future,” the former minister of tourism urged. Clifford warned employers inclined to threaten and intimidate staff which choose to participate in any public protest that we are living in the information age. “Nothing can be concealed and I encourage all employees who are either threatened or intimidated in any way by their employer because they choose to participate in this protest to expose the company and CEO or Managing Director,” he said noting that the identities of bloggers are kept confidential and other media houses, including talk shows, have confidential electronic message channels. “Use them. 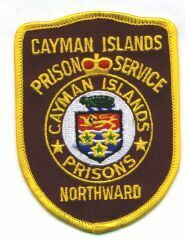 This is democracy at work and no one must be allowed to prevent democracy from flourishing in the Cayman Islands,” he added. After the shots were fired the gunmen reportedly fled on foot and the father of the injured child immediately drove to West Bay police station a few hundred yards away. 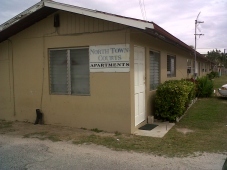 The child was rushed to George Town Hospital but was pronounced dead on arrival. Police arrested two men shortly after the incident. Both are currently in custody at George Town police station and have seized a vehicle in connection with the incident. Speaking outside West Bay police station at around 11pm, Commissioner David Baines, who said he had just come from being with the family at the hospital publicly offered his condolences to them regarding the shocking tragedy and noted the prophetic warning that had been issued by his colleague CI John Jones earlier today. A murder incident room (MIR) has been established at West Bay police station contact number 926-1773. Alternatively people with information can call West Bay police station on 949-3999 and asked to be transferred to the MIR, or Crime Stoppers on 800-8477 (TIPS). (CNS): Police have now confirmed that five people have been arrested in separate and unrelated incidents by unconnected visitors attempting to smuggle ganja into Northward Prison. A police spokesperson said that the five people were arrested yesterday (Sunday 14 February) at the prison on suspicion of committing various offences including possession of ganja, possession with intent to supply and consumption. The people included three woman, aged 20, 38 and 57 years, and two men aged 22 and 31 years. All have subsequently been released on police bail. Police have confirmed that there was no special operation underway on Sunday but that routine searches appear to have uncovered a significant number of people attempting to bring in the drugs for inmates. Although it is widely known that drugs have circulated inside the prison, it is some time since police arrested any individuals for trying to smuggle in drugs for prisons. During the trial of Randy Martin, who was convicted of murdering Sabrina Schirn near Wilderness Farm in East End, it was revealed that the prison farm facility was used as a regular drop off point for drugs that prisoners would then take back to Northward. The farm was closed following Schirn’s murder in March 2009. In the past drugs have also made their way inside HMP Northward by drug couriers, who threw the contraband over the parameter fence. (CNS): Despite speculation that talks between government officials and DECCO over the development of cruise berthing facilities in George Town had derailed, the chair of thePort Authority, Stefan Baraud, has told CNS that the project is on track and that the developer is still on board. He said that, while there were a lot of issues to discuss with regard to all of the multiple elements involved, negotiations were still moving ahead and the authority hoped to have a memorandum of understanding signed before the end of the first quarter of the year and ground broken before the year was out. “All the players are still at the table and discussions are alive and well,” said Baraud. “There are a lot of moving parts to this development that have to be discussed and not everything is resolved yet, but we are moving ahead with the talks. We are hoping to have meetings with both the auditor general and the Central Tenders Committee very soon so that we ensure protection of the public interest throughout the process.” He said government now has its own legal representation to make sure that its interests would be protected as well, but this meant that there were a lot of people involved in each step. The chair, who is steering what will be the Cayman Islands’ largest ever public-private partnership infrastructure project, said that there were still areas open for discussion and the negotiations regarding the retail element of the port’s upland development are still on-going. However, Baraud said that DECCO (The Dart Groups construction company) had recently organised a presentation for all the parties involved with a leading international consultant, Bermello Ajamil & Partners (B&A), a multi-disciplinary award-winning design and project delivery firm, which, Baraud added, was extremely impressive. “It put into perspective the size of the project and the many responsibilities that both government and the developer will have as we move forward with what is a complex development,” he said. The goal is for government to build two finger piers in George Town that will enable up to four ships to berth in Grand Cayman and accommodate the new class of larger cruise ships, which will not place destinations on their itineraries that don’t have berthing facilities. With no money in government coffers, however, the UDP administration has committed to building the facility with a private partner, and as a result has entered into negations with the Dart Group, who will finance the project and aim to recoup that major investment through a combination of cruise passenger fees negotiated with the cruise lines and the terminal’s retail facilities. 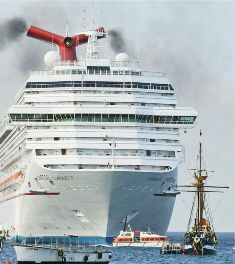 Although the project has gained support from the Cayman Islands Tourism Association and the Association of Cruise Tourism, there have been a number of concerns raised by many from the tourism industry about the negative environmental impact such a project will have, not just on the marine and upland area of George Town, but on Seven Mile Beach as well. An Environmental Impact Assessment is currently being undertaken, though the terms of reference were significantly reduced from those originally crafted by the Department of the Environment when the development of cruise berthing and the extension of the existing cargo port were explored by the previous administration.